Black Elderberry bushes have been found in many parts of the world and grow very well as a native bush right here in Australia. The Australian Elder Berry bush can grow as high as 4 – 6 metres and begin to bloom in late spring with small white flowers followed by small green berries which ripen to a rich black dark purple colour. Both the berries and the flowers are edible. Juicing with elderberries is highly recommended for people following the GAPS Program. Adding about 1 – 2 tablespoons or one teaspoon per family member to your juice is all you need. You can harvest them during summer and freeze enough for the winter. The flowers also hold great immune properties and can be used in salads and tea. 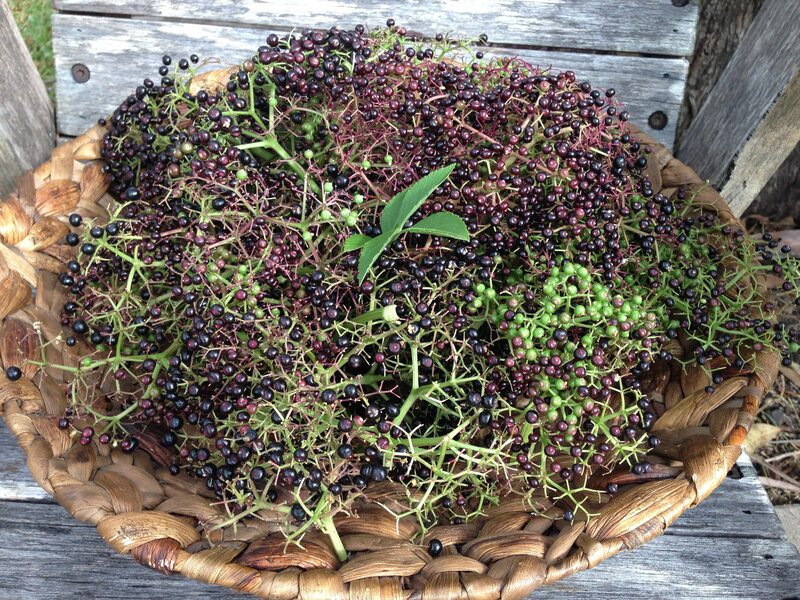 You can ask your local organic nursery if they Stock them and grow them in your backyard or alternatively, you can become very familiar with what they look like and go on an Elderberry hunt and pick a big batch with the family. You will be surprised how common they are in some backyards in Australia and many creek beds are lined with them. Recent studies in 2009 have shown how Black elderberry extract has shown to be at least 68.37% effective against the H1N1 strain otherwise known as Swine Flu Pandemic strain. Studies have shown how Black elderberry extract has been found to be effective against the H5N1 strain of Avian Flu (Zakay-Rones et al 1995). Black Elderberries are rich in anthocyanins which are a type of flavonoid – anthocyanins are antioxidants that may protect cells from free radicals and support your body’s immune system. Mould is destructive to the immune system: How do we address it?